Do you dream of having a job where you can work from home? You’re in luck! FlexJobs has worked out the top 250 telecommuting jobs so you don’t have to. And unsurprisingly, a few of our partnered brands have made their way onto the list. The booming start-up community in Singapore is proving a hard rival for multinationals in the country. Indeed, according Computer Weekly, employers may be able to attract senior IT talent with lucrative salaries, but junior professionals are harder to capture the attention of. 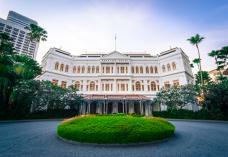 Singapore has hit somewhat of a snag in its economy and job market. However there are some positives to see behind the clouds as Today Online points out. 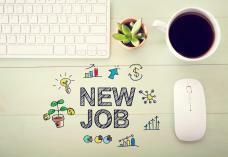 While there has been a decline in online job ads for banking, financial services and insurance (BFSI), hiring is on the up and up in hospitality, telecommunications and IT. Excellent news this week for graduates returning to Malaysia and Singapore. 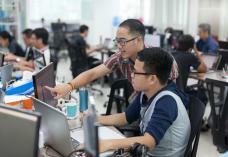 Malaysia and Singapore are facing a discrepancy in technology talent. 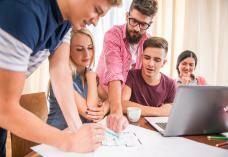 According to Computer Weekly, organisations are battling for local applicants and while this may sound like bad news for business, it does pose an excellent opportunity for returning graduates who can seamlessly fill the gap. Starting a new job is always slightly terrifying. For new graduates, nervousness teams up with inexperience and pesters you with hundreds of questions, which encompass everything from “will I get on with everyone?” to “which mug am I allowed to use?” This is completely normal and if anxiety is good for one thing, it’s preparation.